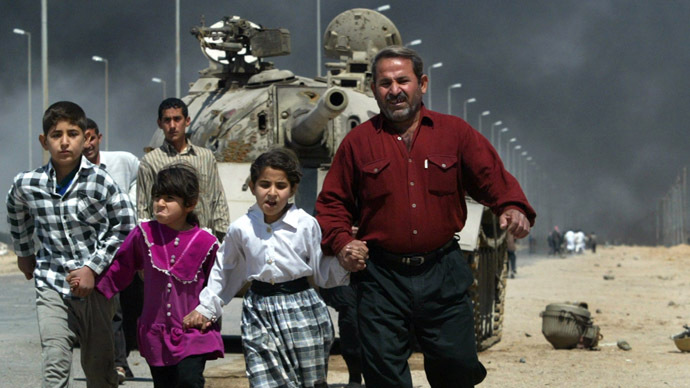 Ten years after the US declared its victory over Saddam Hussein, Iraq is still mired in violence, with each day adding up to death toll among its population. Washington is meanwhile considering another mission in the region. "Major combat operations in Iraq have ended. 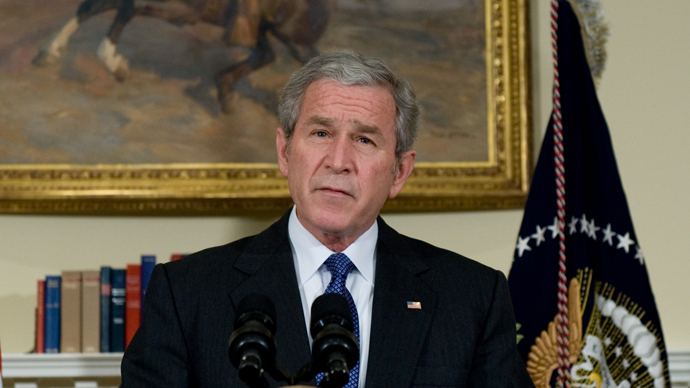 In the battle of Iraq, the United States and our allies have prevailed,” the famous message President George W. Bush delivered on May 1, 2003. He could hardly have imagined back then how premature this declaration of a final victory would soon turn out to be. What followed the notorious ‘Mission Accomplished’ speech, were years of bloodshed. 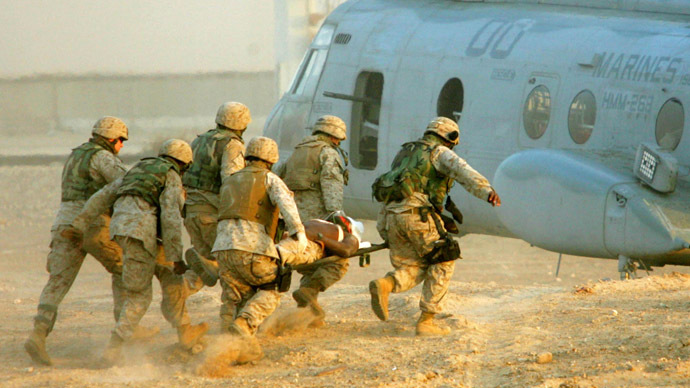 Washington decided to send in 20,000 more troops in 2007. That surge cost the US the lives of more than a thousand soldiers and many billions of dollars of taxpayers’ money. “The battle… for the cause of liberty and for the peace” as Bush’s speech described it was eventually completed a year ago with US troops’ withdrawal from a country that has up to this moment been ripped apart by terror, sectarian violence and fears of a looming civil war. Iraq’s first elections following US forces’ withdrawal were held in April, revealing the depth of the crisis the ‘liberated’ Iraq finds itself in. Terrorist attacks which preceded the polling left over 100 people dead, including 14 election candidates. The upsurge of violence forced a third of provinces to refrain from voting due to security concerns. 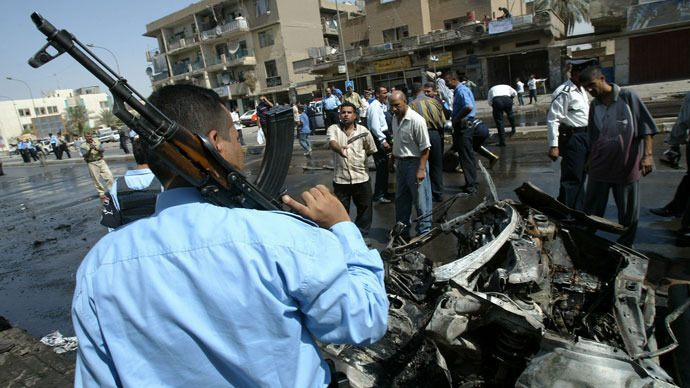 Many Iraqis believe daily deadly bombings - the country’s present-day routine - are too high a price for toppling of tyranny by foreign military forces. It’s typified by the torment of Samir Ismail, a shop owner from Kirkuk: "How long will Iraq remain like this? Every day there are explosions, every day there is killing, every day there is terrorism." Following the latest developments in Iraq from US, veterans of that war keep questioning what they really fought for. Among those unsatisfied with Washington’s official line is Iraq war veteran Emily Yates, who was public affairs specialist in the military. “And I knew it was not, you know, really about liberation, as soon as I saw the huge mess that we made of the infrastructure in Iraq and the fact that still to this day corporations that received these ginormous, multibillion-dollar contracts to rebuild Iraq’s infrastructure still haven’t done that, and they don’t even know where the money has gone,” Yates said to RT. The Iraq War appeared to be one of the most expensive in US history. Together with the Afghanistan military campaign it will cost taxpayers up to $6 trillion, according to a recent Harvard report. “The legacy of decisions taken during the Iraq and Afghanistan wars will dominate future federal budgets for decades to come,” it said, adding that the highest cost of payouts to WWI veterans only fell about 50 years after the end of the war. That, of course, is nothing compared to the human cost of the war. 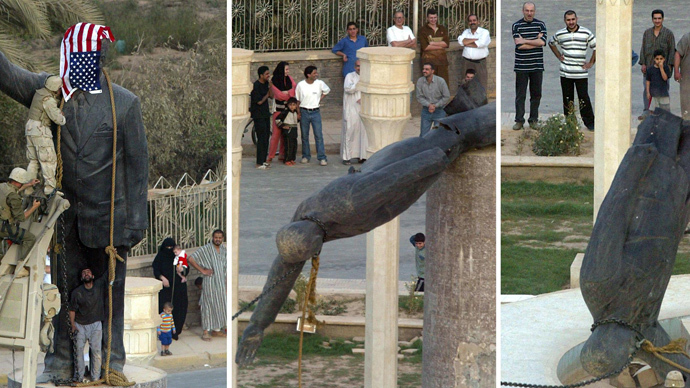 Some 300,000 people have died directly from the warfare, including an estimated 125,000 civilians in Iraq. The March 2013 'Costs of War' report said that with the inclusion of slain journalists, aid workers and insurgents, the minimum death toll had reached an estimated 176,000 to 189,000. Despite all that and also the fact that no weapons of mass destruction were ever found in Iraq, undermining the main pretext for starting the military campaign, former President Bush continues to reaffirm how comfortable he is with the with his decision to invade Iraq. “I am comfortable in the decision-making process. I think the removal of Saddam Hussein was the right decision for not only our own security, but for giving people a chance to live in a free society,” he told ABC in late March. However confident Bush is of his decisions, the non-existent Iraqi weapons of mass destruction damaged US’s credibility on the international level. That legacy is haunting the current US administration. On Tuesday, Obama said the White House had evidence of chemical weapons use in Syria. Washington is now considering if escalating American efforts overseas is the right response to the situation. Before making a decision Obama, however, wants more details on Assad’s regime’s ties with the use of chemical weapons, not to fall into ‘Bush’s trap’.